Holidays time! July has been quite easy. 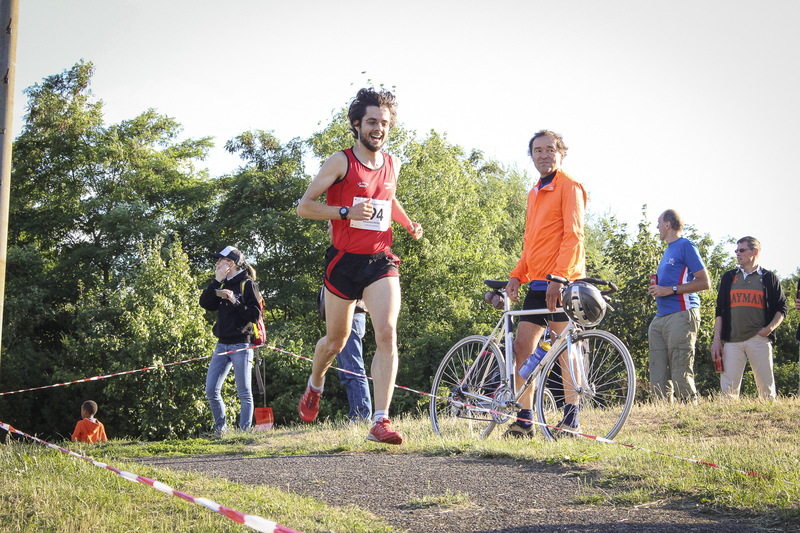 “Only” a tough, hilly race: the terrible Nordberliner Zugspitzlauf, a wonderful mix of up- and downhills in a lovely park (GPS here and a couple of pictures below). 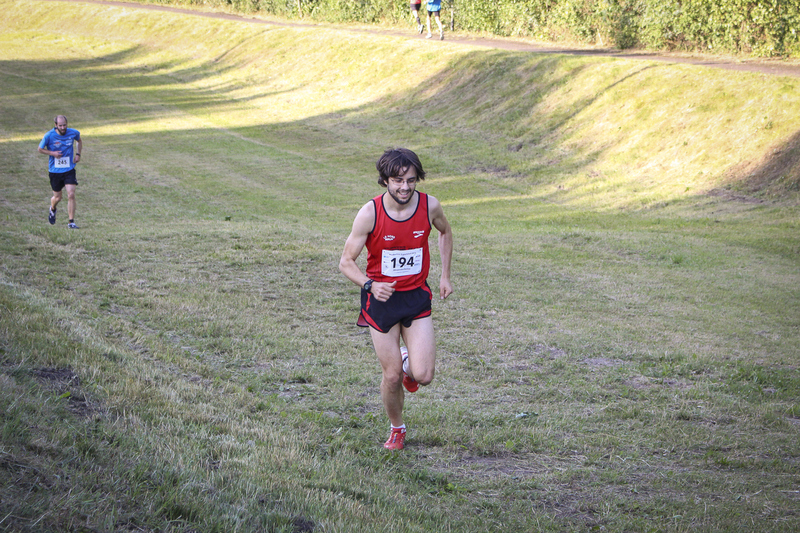 I managed to lower again my PB (49:10 in 2013, 46:00 in 2014 and 44:55 in 2015) and to receive back a solid hill session. After that it has been all about congresses (International Society of Biomechanics in Glasgow) and holidays. In August I’ll start again with some mileage and very few sessions on the track. Pushing but smiling! © 2014 Teamwork Sport + Events e.V. Quite happy that the uphill is over. © 2014 Teamwork Sport + Events e.V. Fighting hard downhill for the 6th place. © 2014 Teamwork Sport + Events e.V. Th 02/07/2015 Easy 15′, 20′ jog, 35′ XC, CD. Fr 03/07/2015 Arms, legs and core strength. Sa 04/07/2015 Easy 10′, 10′ XC, CD. Easy, hilly, 25′. Core strength. Mo 06/07/2015 Easy 30′ with some progression, CD. Tu 07/07/2015 Easy 20′, 2 strides, 8×100 m steep trail uphill reps (downhill jog rest), CD. 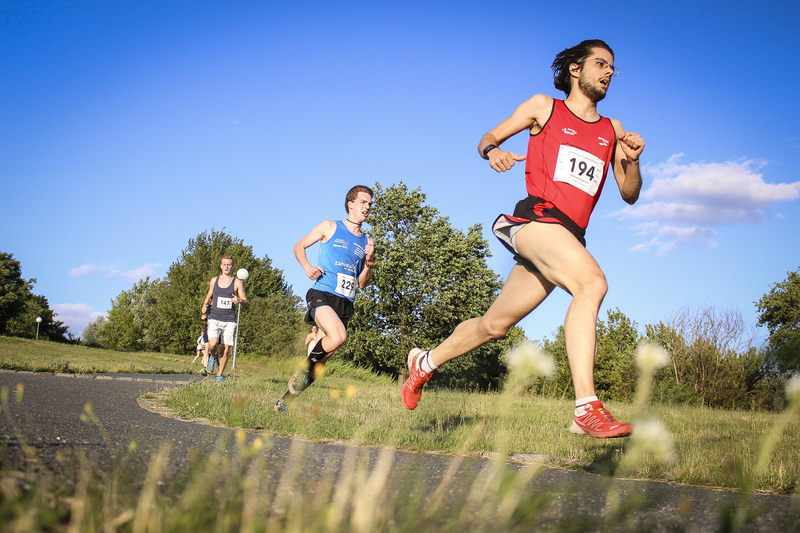 Fr 10/07/2015 RACE: 12 km (Nordberliner Zugspitzlauf – Berlin). Sa 11/07/2015 Easy 40′ with 1×800 m float. Su 12/07/2015 Easy 20′. 15′. Mo 13/07/2015 Easy, hilly, 55′. Tu 14/07/2015 Easy, hilly, 20′. Sa 18/07/2015 Hilly 35′ with some XC sections. Hiking in Unst, Shetland. Su 19/07/2015 Hilly 60′. Hiking in Unst, Shetland. Mo 20/07/2015 Hiking in Fetlar, Shetland. Hiking in Fetlar, Shetland. Tu 21/07/2015 Hiking in Whalshay, Shetland. Hiking in Whalshay, Shetland. We 22/07/2015 Hiking in Walls, Shetland. Hiking in Walls, Shetland. Th 23/07/2015 Hiking in Sumburgh, Shetland. Fr 24/07/2015 Hiking in Sumburgh, Shetland. Hiking in Sumburgh, Shetland. Sa 25/07/2015 Hiking in Sumburgh, Shetland. Th 30/07/2015 Easy 25′, 2 strides, 3×200 m uphill strides, CD.